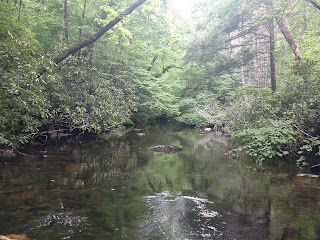 I am absolutely addicted to the Southern Appalachian mountains and fly fishing for the trout found in its streams and rivers, especially wild southern brook trout. Hopefully in my blog I can share a little of my love of the outdoors, backpacking, and chasing wild trout in the rural appalachians. One of the things that annoys me the most when I am looking through the internet is the over abundance of advertisements and people telling me I'm not cool unless I have the latest and greatest, whatever that is? Now don't get me wrong I like super nice things, but come on, I am not spending $200 to shave 3 ounces off the base weight of my backpack gear and I do not believe that the trout care how much my rod cost. 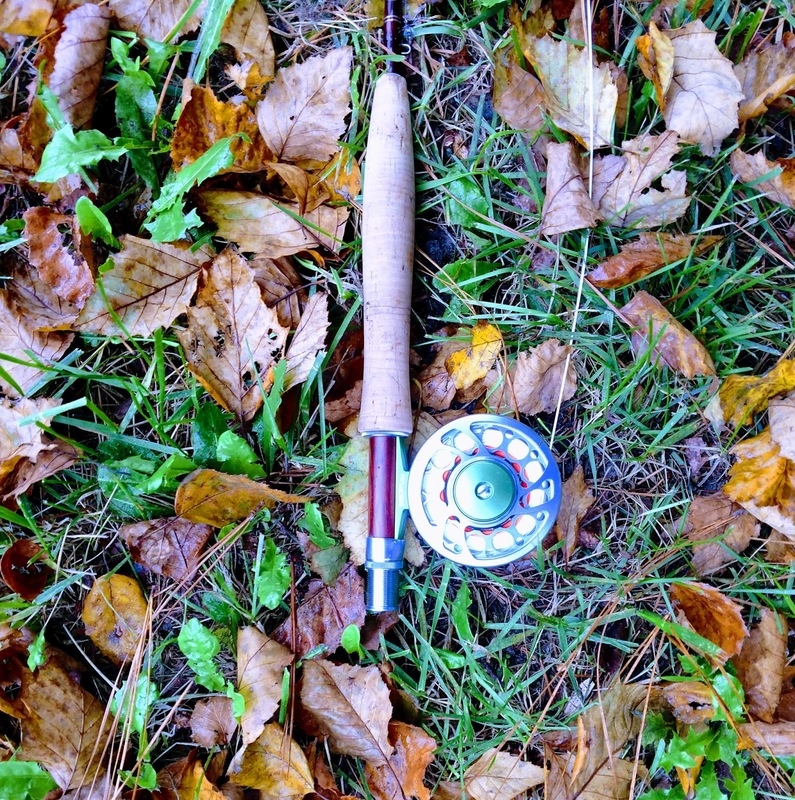 Fly fishing has a reputation for being expensive and it absolutely can be, many rods, just the rods with no reel are close to or over the $1000 mark, but it doesn't have to be. 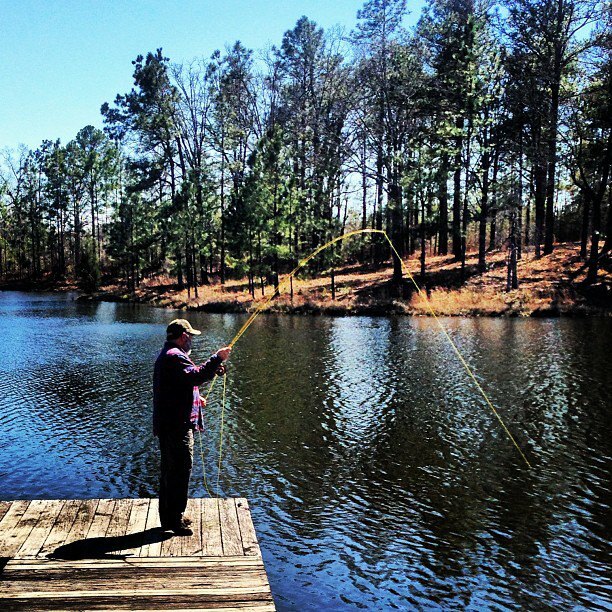 If you are just getting started in fly fishing there is no need to spend a great deal of money. 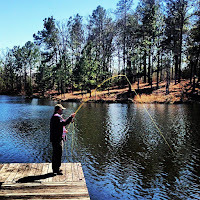 I started out with a Wright McGill Eagle Claw rod and a Martin reel, the entire outfit, including line cost less than $50 and I fished with it for years and caught no telling how many fish. 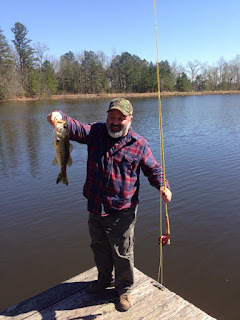 Now to be perfectly honest my grandfather bought me that outfit almost 40 years ago, but believe it or not, that rod today sells for only $25 and surprisingly still fishes very well. They are not made by Wright McGill anymore, or in the USA, but they still have a nice slow action that let beginners and experts alike really feel the rod load. Even though they are no longer made in the US or considered top of the line, I very much enjoy fishing them. 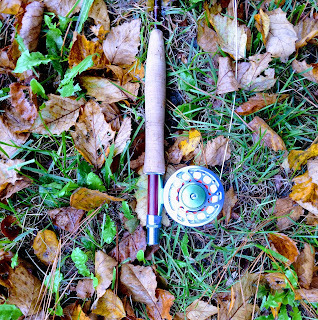 As far as reels go, just starting out there is absolutely no point in spending much money at all, your main focus should be learning to cast and land fish, the reel will more than likely be used as a place to hold your line. There are any number of reels that will serve the purpose that can be had for $20 or under, especially quality older click and pawl reels readily available on Ebay. Buy a basic line that matches the weight of your rod $20, a few leaders $10, and flies $15 and you are ready to fish. So for $100, give or take a few dollars, anyone can get started in fly fishing. I am not sponsored by anyone, I don't get freebies or discounts, I am just like most everyone else and have to spend my own hard earned money to buy my equipment at full retail. If I am ever sponsored or receive free gear I will still give it an honest review and tell what I actually think of it. The marketplace, especially Amazon, is cluttered with reviews paid for by the companies being reviewed, it is increasingly hard to hear what people honestly think. The rod that I am using the most right now is a Redington 8' 6" Classic Trout 3 weight that I bought for under $150, Piscifun sword reel $50, and some discount $15 weight forward line. I intend to do full reviews but the purpose of this post is just to give a little background and let people know about my philosophies. I would much rather have good gear and gas money to actually go fish, as great gear that I can only afford to cast in the backyard. 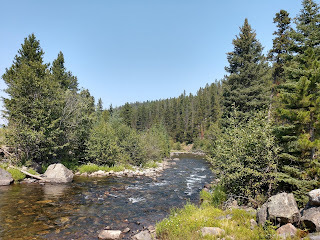 Movies, TV, the internet and a lot of fly fishermen give the impression that fly fishing is a rich man's sport, an art form and difficult to learn. 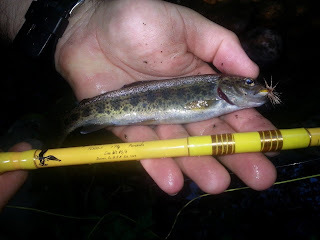 I will admit that like most things if you take the sport to its top form it is all of the above, however there is absolutely no reason anyone can't enjoy fly fishing with a modest expense and a bit of practice, oh and trout are not the only game in town. 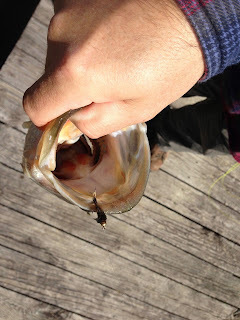 Pictures below are a fun size bass that fell to the trusty Eagle Claw and a bead head hare's ear.